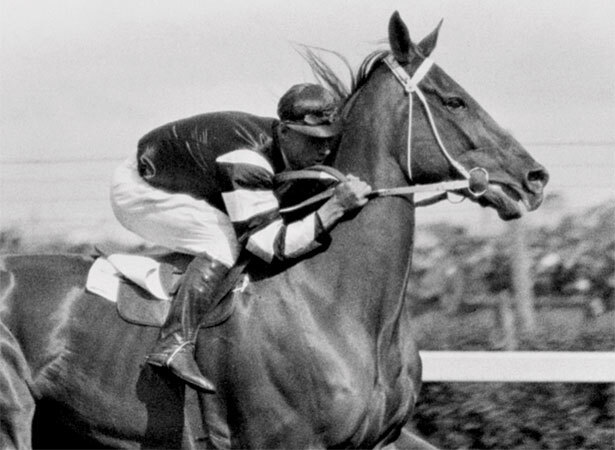 The champion racehorse Phar Lap was New Zealand-born and bred, but never raced in this country. He won 37 of his 51 races and 32 of his last 35, including the 1930 Melbourne Cup. In the gloom of the great Depression, Phar Lap’s exploits thrilled two countries. Phar Lap arrived in Australia as a two-year-old. His name meant ‘lightning’ in the Thai language, and he lived up to it with his ability to finish races with a surge of speed. He was no looker, with warts all over his head. Having conquered Australia, Phar Lap was sent to North America. On 24 March 1932, he won the rich Agua Caliente Handicap in Mexico in record time. Invitations to race at major meetings flooded in, but the horse died 12 days later. Suspicions he had been poisoned were never confirmed. The champion’s remains were keenly sought. His 6.3-kg heart (the equine average is 3.6 kg), went to Canberra, while the Museum of Victoria in Melbourne obtained his hide. Phar Lap’s skeleton is on display at Te Papa in Wellington. We have 3 biographies, 1 article, related to Death of Phar Lap.